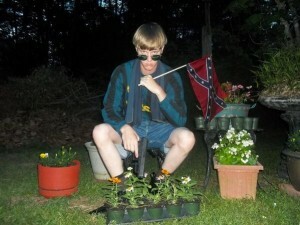 Authorities confirmed earlier today that a manifesto appearing on the website “The Last Rhodesian” was indeed penned by Dylann Storm Roof, the man arrested following the murder of nine African Americans at a historic black church in Charleston, South Carolina on Wednesday evening. Roof’s manifesto indicates that he has been involved in the white nationalist scene for about three years. A deeper look into the 2000-plus word screed reveals that he was deeply immersed in white nationalist ideology and very knowledgeable of the hot button issues and debates in the white nationalist world today. What follows is a textual analysis of the Dylann Roof manifesto and an attempt to trace the ideas expressed therein to beliefs widely-held or debated within the white nationalist movement. The issue of black on white crime is one of the most common white nationalist tropes. A quick look on any of the leading white nationalist websites and message boards indicates how popular this claim is on the radical right. Today, the Council of Conservative Citizens (CCC), the group Roof credited with introducing him to the white nationalist scene dedicates itself to educating whites on what it sees as an epidemic of black on white crime in the United States. The CCC website has been a touchstone for the radical right to get “educated” on this issue, with articles appearing on a daily basis reporting on “hate crimes” committed by African Americans on whites in the U.S. It appears this was the first stop for Roof on his dive down the white nationalist rabbit hole. The debate over the creation of a whites-only ethno-state in the Pacific Northwest is one that has waged for many years in white nationalist circles. Some white nationalists see the Pacific Northwest as a logical place for a white homeland on the North American subcontinent due to the demographic makeup of the region. Others, mainly those who identity with southern nationalism, as Roof appears to, believe southern secession is a better direction for whites to take. Some white nationalists reject the notion of creating a white homeland and argue that efforts should be focused on overturning the system from within – by electing like-minded politicians – particularly at the local level, such as school boards. Roof’s very strong opinions on this topic are another indication that he is well versed in the different sides of this debate. Many white nationalists are realistic about the number of whites with mainstream political views they can attract to the cause. Roof is no different. He, like many, believe that nationalists do not need a majority of whites to be on their side, but if they can coax a portion to take up this position, more will follow. Discussion at white nationalist gatherings is often rife with ideas of how to bring more people into the movement. Many lament the number of nationalists who are only active online and choose not to express their views in the real world. Roof expressed this concern towards the end of his manifesto when he wrote, “We have no skinheads, no real KKK, no one doing anything but talking on the internet. Well someone has to have the bravery to take it to the real world, and I guess that has to be me.” For Roof action meant murdering nine innocent African Americans, a step only a very tiny portion of white nationalists believe will help their cause. “The Jewish question” is a debate that has been waged for decades in white nationalist circles. Many white nationalists do not believe Jews are white, with the majority claiming Jews are a separate race. A sizable number of white nationalists also believe Jews are whites’ greatest enemy. Some of the major white nationalist ideologues such as Jared Taylor and Richard Spencer, leader of the racist think tank National Policy Institute, do not address “the Jewish question,” a stance that has made them many enemies. Though Roof expresses anti-Semitic beliefs in the manifesto he believes African Americans, not Jews, are the real enemies of the white race. Roof’s views on Jews are that of the minority in white nationalist circles but they are certainly not uncommon.